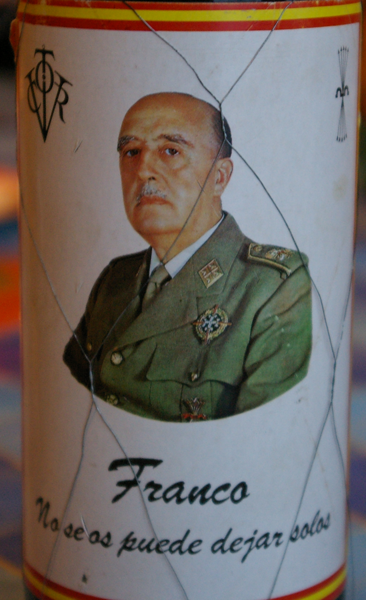 How about a nice glass of Franco wine? I saw this bottle at a family friend’s house today. He’s got quite a decent Rioja cellar and was apparently given two of these some years back. 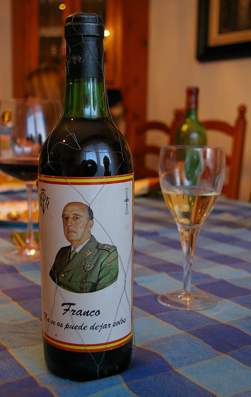 I’m not sure what the origin of the wine is (though I guess it’s from some time shortly after the dictator’s death) and I didn’t ask to taste any. Something tells me it would have upset my tummy.